Fall 2019: Deadline for SUNY webportal is Friday, August 16, 2019, there are no exceptions. Detailed cross-registration flier for Fall 2019. Please direct all inquiries about SUNY cross-registration to crossregistration@buffalostate.edu. is for matriculated (declared major), undergraduate-level students and graduate-level students. Student is responsible for providing proof of county residency to host college. Student may be billed directly by host college for college fees and course fees if applicable. Eligibility Criteria :Must be a matriculated, undergraduate-level student.  There is no minimum number of credit hours a student must be enrolled in at Buffalo State College in order to participate. No credit hour limit per semester. Cross-registration is at a SUNY college. Credits from host college brought back to home college as credits earned (credit hours count toward program completion and final grade does count in cumulative GPA). Some local fees (for example, parking permit) may be charged to student. Cross-registration is available at Buffalo State College for the fall and spring semesters and on a limited basis in summer and J-term. Student is billed Buffalo State tuition and fees and is responsible for payment. Transfer credits received at Buffalo State will not be able to exceed 66 credits (Students who are already at 66 will be denied). Student must have an academic standing of Good Standing. Course must be one not offered at Buffalo State or at capacity. If there is a time conflict this must be noted on the form. The cross registration agreement form must be emailed from your secure Buffalo State email account, or delivered in person with your photo ID, signature, department chairs signature that offers the course, and the form must be filled out with the proper course translation at Buffalo State. Course must not be a repeat or a duplicate of a current enrollment at Buffalo State. Eligibility Criteria:Must be matriculated in a graduate degree program or certificate program. There is no minimum number of credit hours a student must be enrolled in at Buffalo State College in order to participate. Fall 2019: Deadline for Western New York (WNY) Consortium Undergraduate Cross Registration is Friday, August 16, 2019, there are no exceptions. Western New York Consortium of Registrar's Cross Registration Calendar. policy & procedures and deadlines. Eligibility Criteria: Must be a full-time, matriculated, undergraduate-level student. Student is cross-registering at one of the private colleges listed above that participates in the WNY Consortium agreement. Students must abide by the rules and regulations and deadlines of the college where he/she cross registers. Student may cross register only for the approved course that is listed on your form. One course limit per semester (fall and spring). Students must continue as full time students at their home college during the semester in which they cross register in order to be eligible to receive credit through the cross registration program. A student who drops below full time status will forfeit any credits earned at the host college. Credit hours and final grade count toward cumulative average. There is no cross-registration program during J-Term or Summer, no exceptions. *Form available (Western New York Consortium Undergraduate Cross Registration Request Form [PDF]) in the lobby at the Registrar's Office, Moot Hall 210.